From my fledgling weeks providing office support in a recruitment agency, to resourcing candidates and meeting and greeting interviewees , I have seen it all. The life of a recruitment consultant is a very interesting one. I have learned that as much as we think most people understand the basic concepts of making good first impressions on an employer, job hunters as a whole, still have a long way to go. From tradies coming to my front desk seeking work to middle aged women tentatively taking their first steps into the work place, I have covered all bases and have witnessed some shockers. Just the other day a labourer approached me seeking a construction position. His job hunting attire? Board shorts and no top. Yep, he was as naked on top as god made him. As pleasant as this was for my eyes, it is not the best way to dress to nab a job. My focus was off his skill set to say the least and I fear I may remember him for the wrong reasons. Point is, if you are seeking a job, any job for that matter, it is important to dress to impress. Though my semi clad tradie will probably spend most of his time on site in all his naked glory, it is not the way to enter a job agency. The image that he radiated was one of carelessness which doesn’t translate well to someone I would want to employ. Lesson one – Men, keep your tops on – no matter how high the temps are outside! Another common faux pas that I have come across is candidates lack of direction and certainty in their job hunt. So many times I have been greeted with the statement ” I am looking for work”. The answer I hate to hear when I ask what kind of work they seek is “anything”. Anything is so vague that it could mean you are willing to walk on the moon or pick up poo. Never say you are looking for “anything”. It is a phrase that seriously undersells your abilities and undermines your goals and ambitions. Be specific; keep in mind the skill set that you already have and match these with a role within the realms of your talent. Saying that you are looking for anything suggests a laziness that no recruitment consultant wants to see. It also smacks of half-heartedness, in the sense that you really dont care what you do. Not caring equates with a lack of pride for ones work and this is definitely something that we do not want. There is a fine line to thread when it comes to persistance and just plain pushiness. Sure, make follow up calls to ensure that we have received your resume. Please dont call six times a day though. 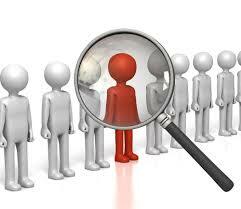 People fail to realise the sheer volume of resumes recruitment agents receive on a daily basis. It is definitely important to make a follow up call after submitting your CV ; it definitely keeps you in our mind but it can border on just annoying if you keep on calling. Being pushy will not be in your favour. The processes in recruitment agencies are much the same. We take your resume, collect important details such as identification, proof of work rights ( if international candidate) and any other relevant licence’s or qualifications. Do not show up empty handed! These sundries are all important and necessary in order to place you in a position. Likewise, allocate a couple of hours of your time to your visit to the recruitment consultants. We may ask you to complete some online training which is a vital part of our compliance. If you do not do this, we cannot help you with work. All of these little tips are simple to follow yet are imperative in your quest for the best job possible. Remember, you are selling yourself. Be presentable, organised and most importantly confident. Good luck!